has finally released today in theaters as scheduled on 28 November 2014. It is a second Bollywood movie for Kangana Ranaut featuring with lead Emraan Hashmi. There are also other main roles like Sanjay Dutt, Randeep Hooda in comedy and humorous characters. It has opened well at the box office especially in multiplexes during morning shows according to some reports. Considering the face value of the film the occupancy has came out to be decent with around 50-60% in the theaters today. Evening shows pick much better later in the first day of its release. The movie has come out quite surprising results. Film has capitalized the multiplexes and single screens, many of the first day shows for the movie were profitable. Audience coming out of hall like the movie and declare the movie an average entertainer. Director has put lot efforts in the movie, which are quite seen after watching it. All over the famed star cast and the chemistry between the leads is good which the audience liked most. 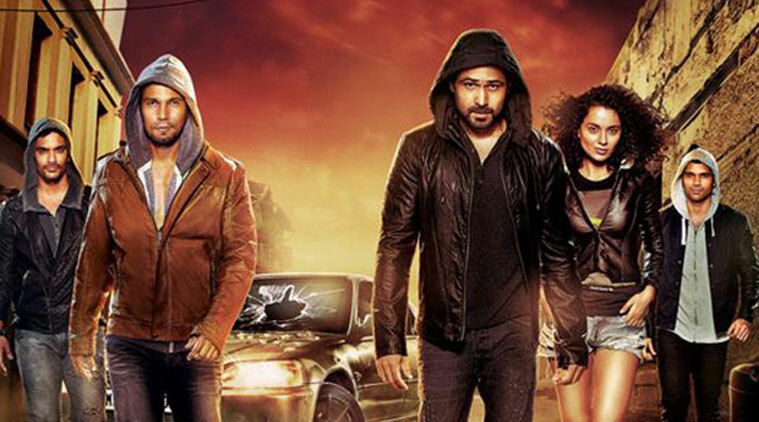 On its opening day, box office collection of Ungli is around 3.6 Crores. Morning shows suffer a bit but movie shows little growth after noon. Some people coming out after watching this movie were happy and calling it money worth. It shows that it got decent response from the public and can earn more in the upcoming days of weekend due to lower competition.